This is the new Rubik’s 2x2 with tough tiles. The traditional stickers have been replaced with plastic; which means no fading, peeling or cheating! It also has a brand new mechanism that results in a smoother, faster and more reliable Rubik’s Cube. It might look easy but don’t be fooled – it is still a challenge. The 2x2 Rubik’s Cube (also known as the pocket or mini cube) consists of 8 corner cubies and operates in much the same way as its bigger brother – the Rubik’s Cube. As it is smaller than the traditional Rubik’s cube it can be more easily slipped into a pocket or bag, making it the perfect item to take on a bus, train or airplane. 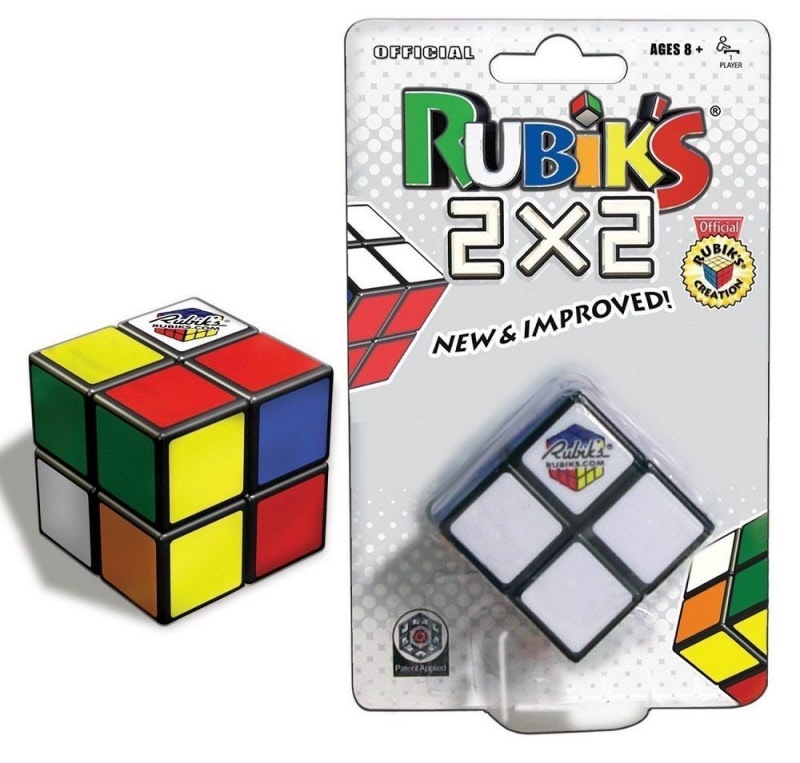 It also makes a great present for younger puzzle enthusiasts who might not be ready for a fully-fledged 3x3 Rubik’s Cube. The Rubik’s 2x2 Cube has 3,674,160 permutations and only one solution! The Rubik's Cube was invented in 1974 by Hungarian professor of architecture, Erno Rubik. A widespread international interest in the cube began in 1980, which soon developed into a global craze. On June 5, 1982, the first world championship was held in Budapest, Hungary.